Two new variants are added to the Skoda Octavia range. The excellent Skoda Octavia has two new variants joining the line-up which feature more tech as well as a sporting edge. They are the SE Technology and SE Sport; the Sport offers satnav and Wi-Fi and with extra kit worth more than £3,100 compared to the standard Octavia SE. The new Octavia SE Technology is the replacement for the popular SE Business variant and also has value and more equipment. Skoda says the new arrivals will help meet growing demand from buyers for the latest in technology and sport design. The Skoda Octavia SE Sport will cost from £19,990 OTR and is available as an estate or hatchback. It comes with a choice of two engines, a 1.4 TSI unit producing 150 bhp and a 1.6 TDI engine producing 110 bhp and both have the option of a manual or automatic gearbox. The SE Sport also comes with bi-xenon headlights, 17-inch alloy wheels, daytime running lights, sports seats and multifunction steering wheel. Other standard kit includes cruise control, Wi-Fi and satnav. However, despite the extra equipment, it costs £950 more than the standard SE while having equipment worth more than £3,100 on board. Alongside this will be the Skoda Octavia SE Technology which again comes in estate or hatchback format but has four diesel engine options with power outputs of between 110 bhp and 150 bhp. The TDI units also deliver a range of economical budget figures with the Greenline III option proving the most frugal with economy of 81 mpg and CO2 emissions of 90g/km. Again, the new variant has more equipment which includes satnav, Wi-Fi, a multifunction steering wheel as well as adaptive cruise control. There are also parking sensors as well as rain and light sensors. Despite the extra equipment the Skoda Octavia SE Technology has a premium of £275 while the customer gets equipment worth more than £1,800. The most expensive Skoda Octavia is the estate SE Technology which costs £22,030 with a 2.0 litre TDI unit producing 150 bhp and having emissions of 106g/km. The cheapest variant is the SE Sport in hatchback guise with a 1.4 TSI unit producing 150 bhp with emissions of 118g/km and this model costs £19,990. 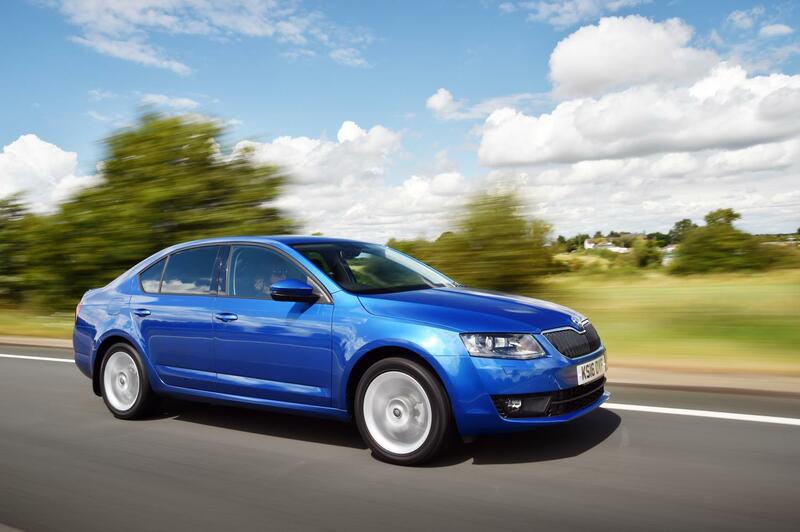 This entry was posted in Car Leasing, Cars, Family Car, New Cars and tagged skoda octavia by Steve Lumley. Bookmark the permalink.